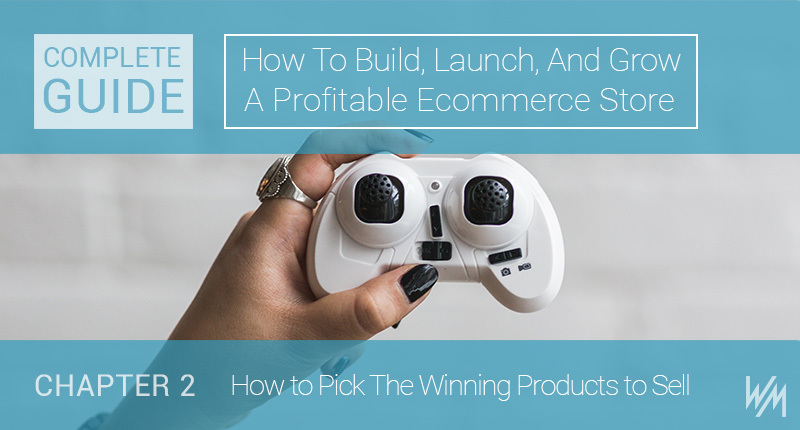 At its most basic, you need to run your ecommerce store like any other business. Yes, it’s different because it’s online. And yes, you have lots of factors to consider that other businesses don’t—everything from shipping to search engines. But at the core, your ecommerce business is a business, and you need to treat it like one. Let’s look at each one carefully. Understanding your customer is key to understand how to sell, promote, and grow. Here are the questions you need to answer to learn about your customer. I recommend creating a buyer persona for your ideal customer. A buyer persona is essentially an avatar of the type of person who would buy your products. Your buyer persona includes the average age of your typical buyer, their gender, educational background, marital status, occupation and so on. The age of your average buyer is important because most products aren’t used by people of all ages and most of the time, your product will only appeal to and be useful to people in a specific age bracket. The best way to determine the age bracket of your customers is to first ask yourself what sort of person would be interested in your products. If you are selling items like hoverboards and skateboards, for example, people above the age of 35 are very unlikely to be in your target demographic (unless they are buying for someone else). Very small children and toddlers might also be unable to use the products. In this case, you should be targeting young people between the ages of 18-30. Location is another thing to take into perspective as some products are only usable in certain locations, climates, and areas. If you sell items for winter sports, most locations in Africa would have little use for your products and it would make no sense of marketing there. To determine your target location, you will need to study the product and determine where it can be used. In the case of hoverboards and skateboards, you will have to target locations where there is warm enough weather to go outside, enough free space outside to actually use them and a buying population that can purchase them. Places like California would spring to mind of a location suitable for your product. Gender also comes into play if you are selling items like makeup and traditionally feminine clothing. In this case, your target audience is almost exclusively female and thus, you should be marketing to them. Depending on the price range of the items you intend to sell, income level should be considered as well. There are some items that due to their price should only be marketed to buyers who are very financially buoyant. 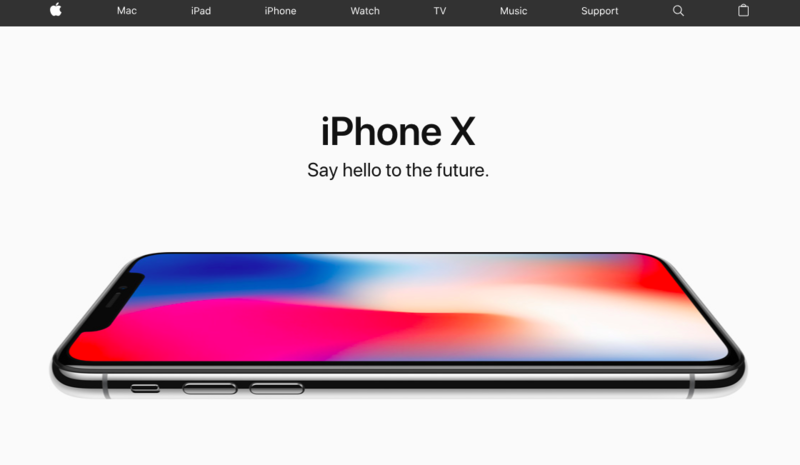 If you plan to list electronics that are over $1,000 a piece, then the customers you should be approaching would be upper-middle class and above who will likely have the funds to spend such an amount on a non-essential item. Before you start with online store setup, you need a market size of many thousands of people. That doesn’t mean you need a huge market—a small, passionate audience can be just as effective. But you can’t sell a product with a market too small to pay. Can You Handlebar sell beard and mustache cosmetics—hardly a broad market? Yet there are enough beard-wearing men in the world to support their business. 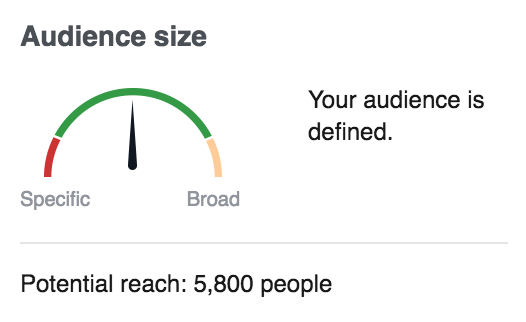 A great way to find the size of your audience is in Facebook Ads. 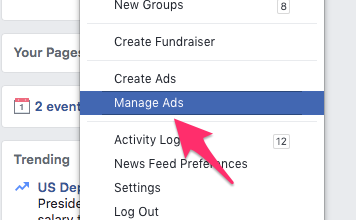 Go to the Facebook Ad Manager in the upper-right hand corner menu on Facebook. Now, create an ad set. 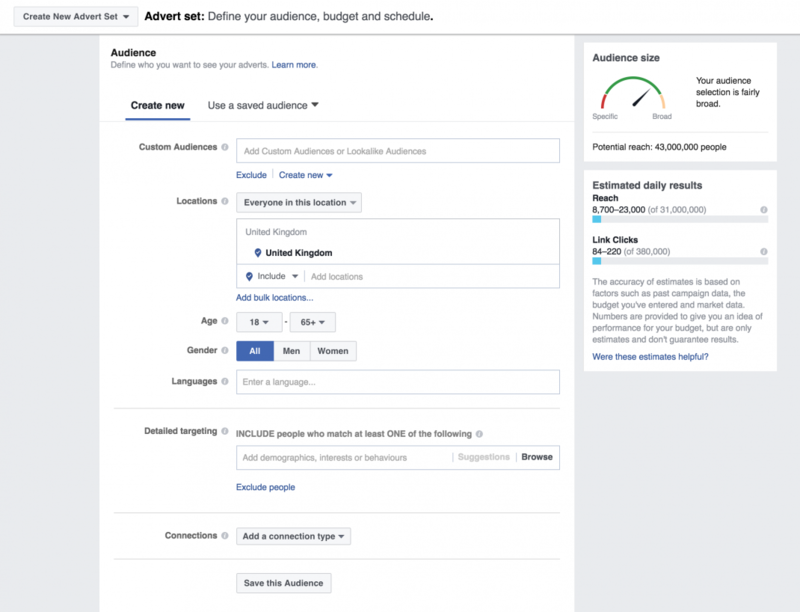 This is different depending on whether you’ve run Facebook ads before or not. Specify your target demographic. 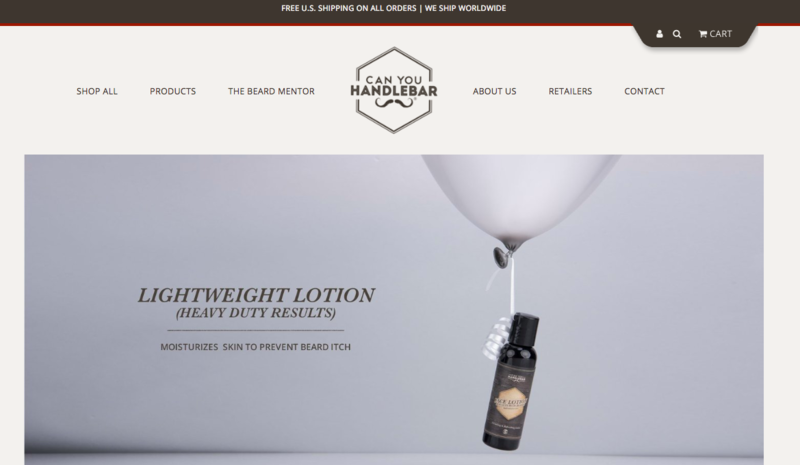 Using Can You Handlebar as an example, their market is probably 18-45 year old men in the United States who are interested in beard and mustache care and products. As you can see, there are 240,000 people that fall into that category. Who would have thought—nearly a quarter million men interested in beard and mustache care! What’s the typical purchase situation? Up next, we need to do an analysis of the typical purchase situation. This will give us a huge insight into how you market, position your brand and sell your products. First, when do they purchase? This isn’t the literal time (like Wednesday nights), but the conditions required for someone to purchase something. There are as many purchase reasons as there are products, and these can even change throughout the customer journey. An example of a product people buy after frustration with a problem is Fenty beauty by Rihanna. For years beauty enthusiasts had decried a lack of foundation shades and beauty products for darker skinned and pale consumers. When Fenty was launched, it tapped into this problem and offered a very diverse range of shades. It has gone on to be widely successful as a result. If you’re frustrated because there isn’t makeup for your skin tone, you might discover Fenty Beauty and purchase some makeup. Once you become a regular customer, however, you start buying because you need it—you run out of cosmetics and purchase without researching other competitors. Solving a problem or fulfilling a need should be the goal of your product. Listen to your target demographic and find out what problems they are currently experiencing with various products and services and figure out how your products can help them. 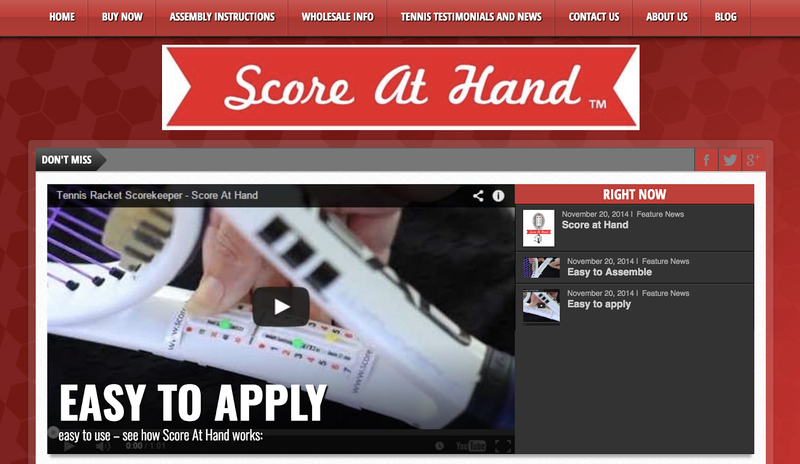 It is this method that led Christine Wanatabe to create Score At Hand. Christine is a tennis enthusiast who was unable to find someone to keep score of her tally points. Understanding that other tennis players probably faced the same challenge, she designed Score At Hand which records tally points as the tennis player uses the racket. This isn’t quite as complex as other questions, but you need to give it thought before rushing to market with your product. Most customers will pay for your product by credit card, but not all are able to do this. International customers may have other options (such as PayPal or Payoneer) that they’d prefer, and others may even prefer a cryptocurrency like Bitcoin. Depending on the target market, some customers might pay through their company with options like purchase orders or reimbursed payments. 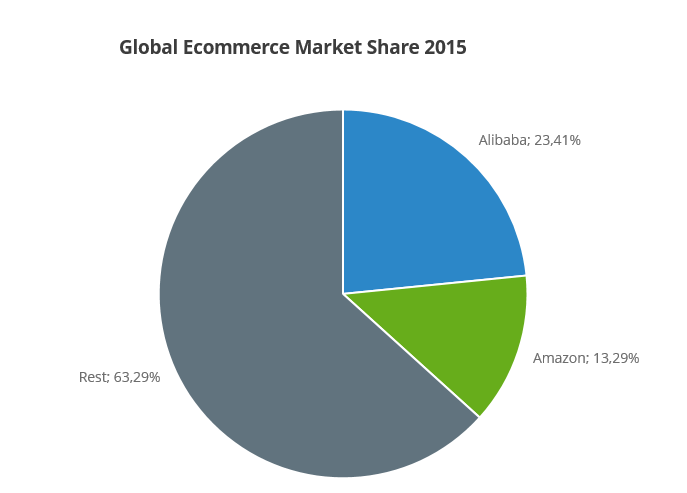 Know this in advance before setting up your eCommerce store. Where do customers make the purchase? First, you need to understand the physical location a customer tends to use when purchasing products from your store. If you’re selling cozy, playful socks like The Sock Drawer, your customers are probably browsing the site and buying from their couch on evenings and weekends. But if you’re in the business of videography equipment for professionals, like Adorama, your customers are likely purchasing at a desk or in their studio during work hours. That difference can determine how you set up your store. 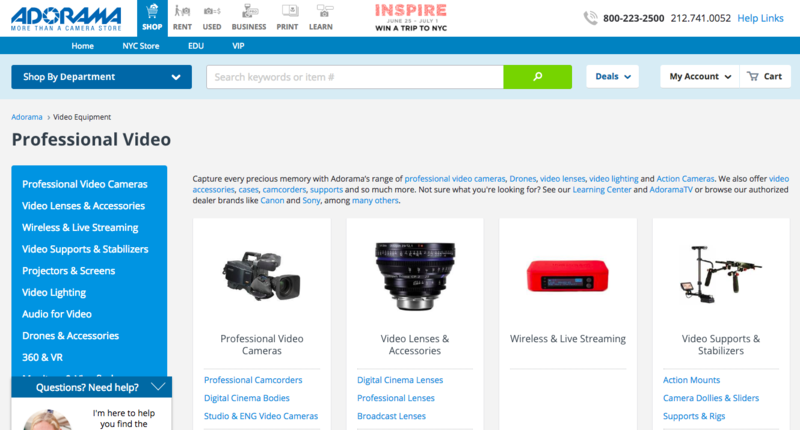 If people are shopping during work hours, the site needs to look professional like Adorama—customers shouldn’t feel the need to close the tab if their boss walks by. But for weekend browsing, a whimsical and interesting flair like The Sock Drawer keeps buyers engaged. The second “where” behind purchasing is the digital environment. Where online were customers before finding your store? Did they hear about you through a trade publication, blog article, or Facebook post? This helps dictate the look and feel of your site. I recommend finding the publications they follow and places they shop offline for a feel of their buying patterns. Getting an idea of what types of publications your target demographic follows is essentially an understanding of what their needs are as well as what their challenges are. It is also important to know where they shop, both offline and on. Knowing the places they shop lets you know the type of products they are currently buying and the products they are not interested in. The best way to do this is by way of questionnaires. Two great ways to conduct online surveys are Survey Monkey and Google forms. 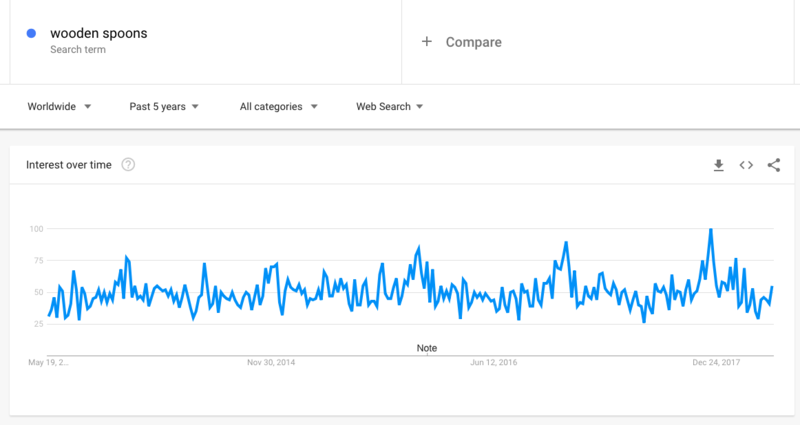 Create a custom questionnaire on one of these platforms with queries that will help discover these things about your target audience. When you get the answers to these questions, find out how to include these incentives in your own business so as to draw customers. Also, ask what factors would contribute to them shopping at or purchasing from a business. Their answers should guide your business practices. When you have compiled the questionnaires, distribute them only to people who fit into your target demographic. You can distribute either by email (once you know how to build your email list) or by social media. So you understand your target audience. Now, it’s time to learn exactly what your product has to offer. What advantages does it have? What disadvantages do you need to prepare for? Is there a compelling reason to buy your product? There are three main reasons people buy products: to serve a passion, solve a problem, or improve their status. Many products do more than one at a time. 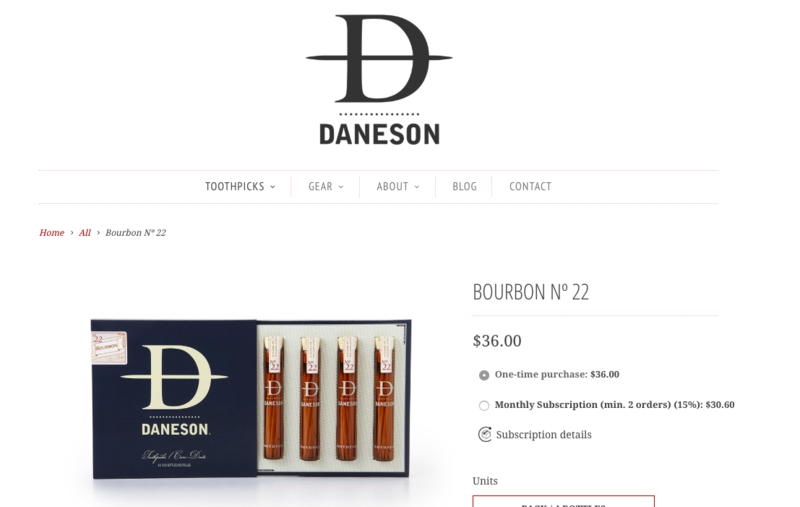 For example, Daneson is a company that sells gourmet toothpicks, with flavors like bourbon, lemon, and cinnamon. The product solves a need (removing food from your teeth), but goes far beyond that. Only someone passionate about the finer things in life would pay $36 for toothpicks. And the type of person who would enjoy artisan toothpicks could also improve their status among their equally-dapper friends with such an interesting and noteworthy luxury product. Daneson is a company with a product that meets all three criteria. I recommend questionnaires again to learn why a customer would buy your product. One of the most important things you need to sell a new product is to tap into what the customer wants that they are not getting. Use the responses to this question to design and choose the products you will be selling. Also, ask what they like about the new product. This could be specific features, its packaging, and so on. Make sure to maintain these valuable features in the future. Also, ask “In your own words, when would you use this product?” This will give you insight into when the buyer will find a use for the product. 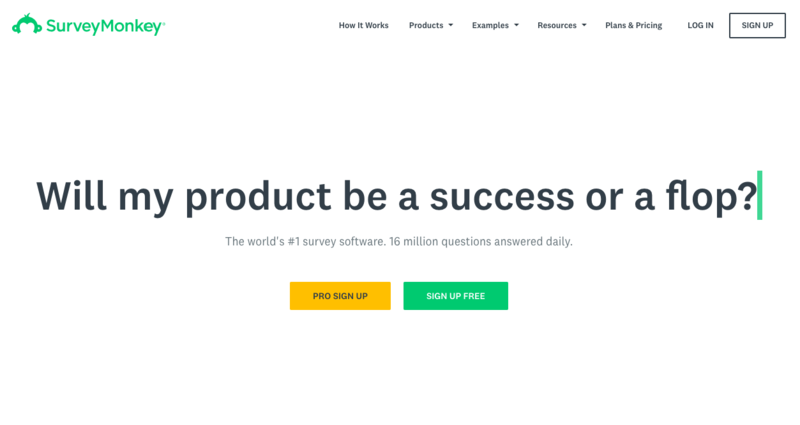 Is your product easy to manage and ship? Because it is an ecommerce store, the goods that are purchased will have to be shipped out the customers. However, shipping costs and methods are very dependent on the product being sent. If your product is a very heavy or fragile one, shipping might be more complicated and expensive and this might drive up the selling cost. If the product is also very large your shipping costs will likely be increased. Before you begin selling your products, you need to be sure of how much it will cost to ship a unit of your product and what that means for your cost price. You also need to be sure of what it will cost to store your goods in a warehouse and manage the inventory. You might also want to consider offering free shipping as it is a big incentive for sales. In fact, research has shown that 46% of customers abandon items in their cart if free shipping is not included. One way to get around this is to add the cost of shipping when you price your product and offer the customer free shipping. Keep in mind, however, that if the cost of shipping will significantly increase your selling price, the customer might be discouraged. If you choose to dropship, warehouse and storage fees will also come into play and can be quite expensive. This also applies if the products will be shipped abroad. What’s the lifetime and durability of your product? Many eCommerce products, like gadgets and accessories, have a nearly unlimited shelf life. But if you’re planning on selling food, skin care products, or supplements, you need to understand the inventory won’t last forever. This doesn’t have to be a dealbreaker for your product, but give it careful consideration. If you need a minimum order of 10,000 energy bars, they expire in 18 months, but you can only sell 200 each month—you’ll lose a lot of money. It’s a good idea to stick with products without a shelf life for this reason. Whatever your product’s lifetime, make sure you include it in the business plan for your eCommerce store. Some products have a constant demand all year round while others are only in demand at specific times of the year. This affects the revenue stream for the seller. If you sell winter clothes, for example, your revenue will likely take a hit during the spring and summertime and this means that you will not have a consistent income coming from your store. A simple way to solve this problem is to market your product to other countries in your off-season. If you’re based in the US, for example, you could market winter clothes to Australia during the warm summer months in the Northern Hemisphere. What’s your product’s geographic and demographic demand? Next, we need to figure out whether there is a specific geographical demand. For example, if I’m selling products for hunters, I would probably target most specific regions that are less urban with less gun control. The Facebook Ads manager has been a tremendous help to many businesses. Not only do they help create ads, but make ensure that the ads are seen by the right demographic of people. You can take advantage of this by making use of the filters that let you specify what types of people you want your ads to be seen by. As the various filters such as age and location are added, the number of potential customers are indicated at the right side of the ads manager. 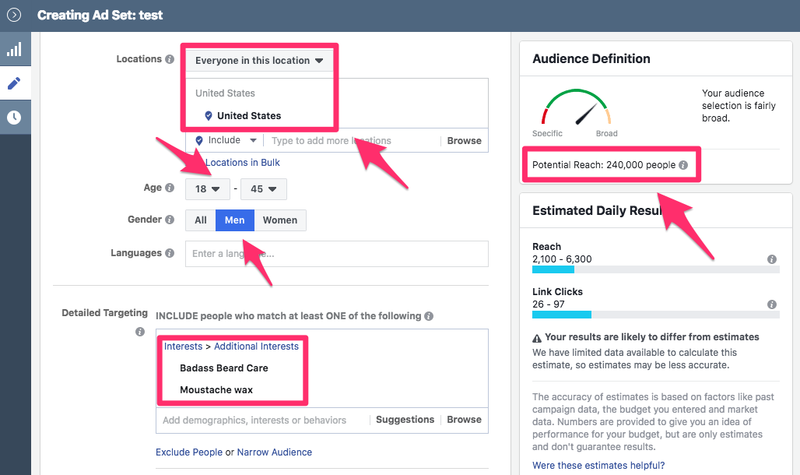 This can also be leveraged to determine how the potential audience of your ecommerce products even if you aren’t creating a Facebook ad. The first thing to input is the location you are targeting. Be as specific as possible. Fortunately, the Ads manager lets you specify both country and city to be as precise as possible. Age is the next filter to input. For example, if you are selling sporting goods, you will probably notice that most skateboard buyers are under age 35. The knowledge you have about your audience should be applied in picking an age range. Depending on the products you intend to deal in, gender might also come into play. If you sell makeup products, for example, your target audience will likely be female. This also needs to be taken into account when creating the ad so as to avoid targeting people that will have no interest in your products. If language also comes into play (for example, if you are selling books that are only available in English), be sure to target by language. Probably the most important factor to be considered in the ads manager is interest. A person might fit all the other criteria listed in the manager, but if they have no interest in your niche, then there is no point targeting them. You can start by inputting your niche into the interests section and the go a step further by adding a sub-niche. For example, you might input electronics as interest and then input cameras as a sub-niche. This makes sure that the audience targeted is as specific and likely to purchase your products as possible. As all these filters are being imputed, the icon indicating audience size will reflect the changes as the potential audience will shrink until you are left with a final figure. This figure will give you an idea of how large your potential buying audience is. 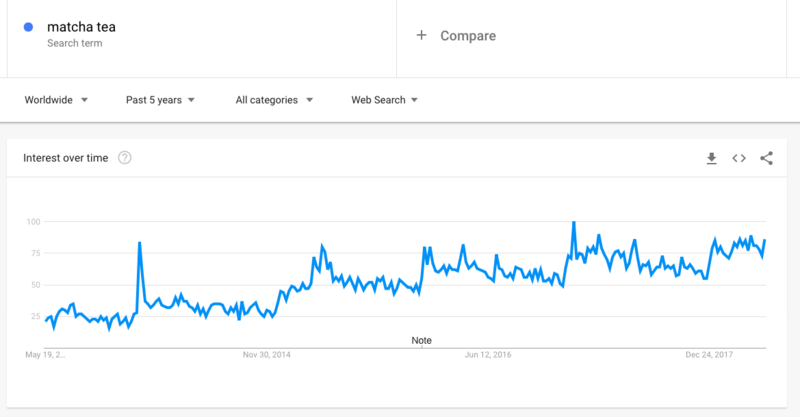 You can also use Google trends for location. Type in a trend. Scroll down to the interest by region section. 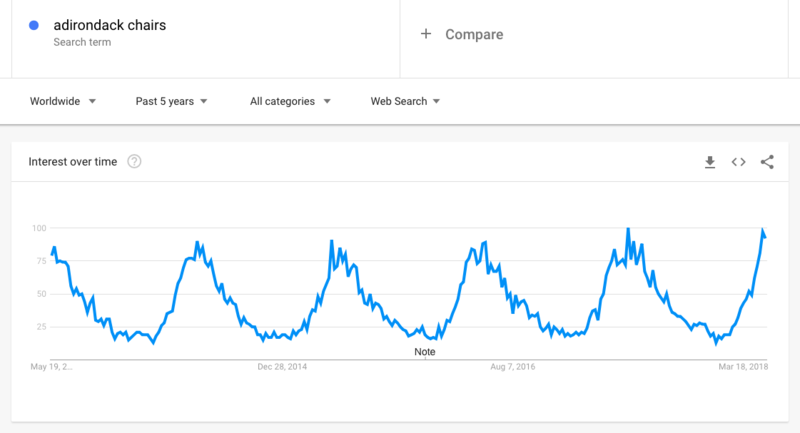 You can click on a country to see more details and how trends change over time in that area. This is also a helpful method of planning where (and where not) to ship. If only 0.1% of search volume is in Hawaii and Alaska, you could offer flat-rate shipping to the contiguous 48 states—and charge extra for those locations. Take these considerations into mind before writing a business plan for your eCommerce store. Is your product a one-time or ongoing purchase? One-time purchases refer to a situation where a customer makes a purchase form a business of a particular product and will not likely patronize them again for a long time, if ever. An ongoing purchase is a situation in which a customer makes a purchase from business and will continue to purchase the product continuously. Usually, an ongoing purchase type is for a consumable or disposable product, like paper goods or food. 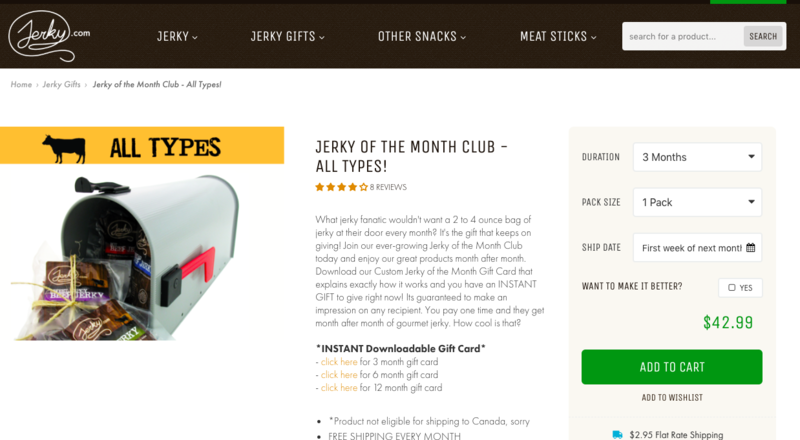 For example, Jerky.com has a “Jerky of the Month” club that ensures ongoing purchases of its edible products. Understand what type of product you are selling and if it necessitates a one-time purchase or an ongoing one. Consider what the lifespan of your product is. Some products are designed to last for years while others have a short lifespan. A barbecue grill, for example, can last for as long as it is well taken care of. But dog food can only last for so long before it must be replenished. You should also consider whether or not your product is a fad. If you sell sneakers, you can expect some amount of business year in and year out. However, if you sell a product that is only enjoying momentary popularity, customers will not be making future purchases from you or anyone else. You might also consider a hybrid model, like the razor-and-blades model. In this model, you sell a one-time product (like a razor) at a low price or even lose money on it. Then you make up profits in future ongoing products (like blades). This can be a highly profitable model for a variety of products, including printers and ink cartridges, consoles and video games, and cell phones and data plans. No model is necessarily better or worse, but you need to understand which one you’ll be using. Are there any special restrictions or regulations on your product? In every jurisdiction, there are restrictions that govern the buying and selling of products and as a business owner, you need to be aware of these. Certain products have restrictions in certain areas and are outright banned in others and as such, you will be unable to sell to those locations. To be on the safe side, inquire and conduct research about the countries you intend to sell to. Food items, in particular, carry very strict restrictions. As such, you will need to consult with the FDA both in your home country and the countries you want to ship to avoid your products being confiscated or destroyed. Every business is bound by time, and your new eCommerce venture is no different. Here’s the timing you need to learn about to know if you’ll succeed. Answer these questions about how time affects the market, customers, and product. How long will customers stay with your brand? This is more of a numbers game if anything else. This involves analyzing your average customer and trying to get an appropriate figure of how much money you will bring in. First, start with your business and identifying a product that can serve as an appropriate representation of your products. The product in question should not be the cheapest product you have or the most expensive, but somewhere in the middle. After this, calculate all the other possible purchases and add-ons the customer might pay for. Add all these figures together for the amount that the customer will be spending at your store in a single purchase. Then calculate how many times the customer will likely purchase from your brand in a given period, whether weeks, months or years. For example, let us assume that your store is dedicated to selling pets. A customer purchases a Labrador from you. Calculate the cost of not only the Labrador but the other purchases the customer will likely make. In the first year, this customer will bring in at least $3,335 and at most $4,035. This is their initial value. Assuming the customer continues to patronize your business for the next 5 years, they will bring in $17,375 in revenue over that period. This is their lifetime value. After you have determined this amount, you then need to multiply that by your projected number of customers and determine whether that can keep your business going for the long-term. Some businesses by their nature can survive for years into the future while others don’t have much of a chance. There are a number of factors that determine this, one of which is the lifetime value of your customers. The lifetime value of a customer refers to how much money you can make from a single customer over a period of time. When you market your product and acquire a single customer, you need to know just how much you can make from that customer from their first purchase to their last. This will let you know just how long your business can survive. How are complementary and substitute products doing? If you look at products related to yours, you can get an idea of how your products will do. For example, if you’re creating a store that sells colored headphone cords, you’d want to pay attention to the smartphone market. With Apple no longer including a headphone jack on the latest iPhone, you might want to rethink your product. It works the same with substitute products. 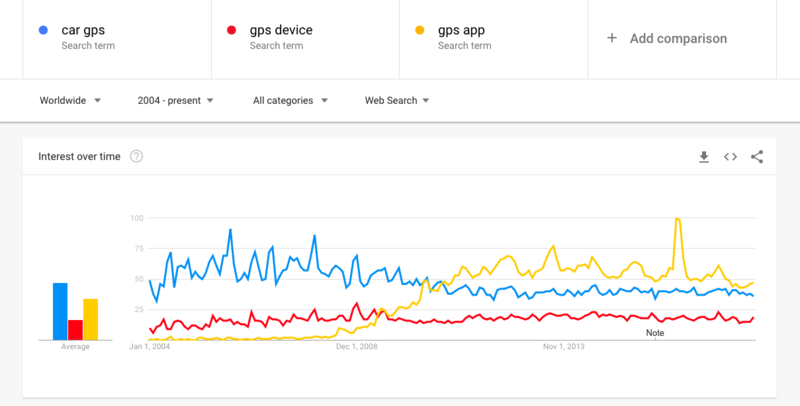 If you had a GPS eCommerce store a few years back, you would have seen smartphones with GPS apps—a substitute product—take your market share. 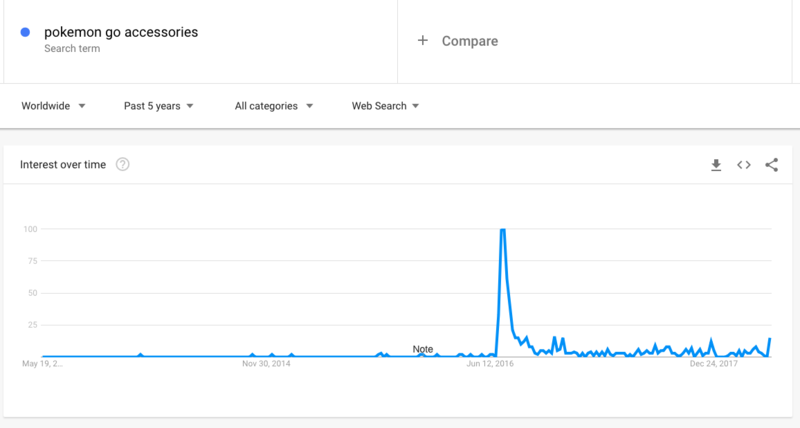 Is it a trend, fad, flat, growing, or shrinking market? Learn what kind of market you’re following. 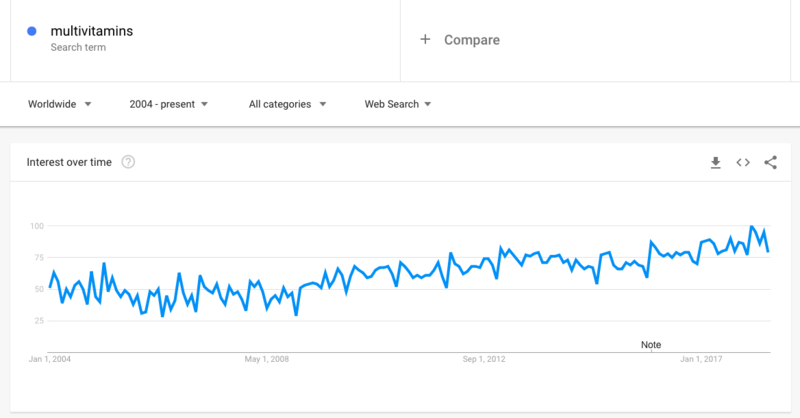 I recommend using Google Trends to see what type of product you’re selling, and where it falls. 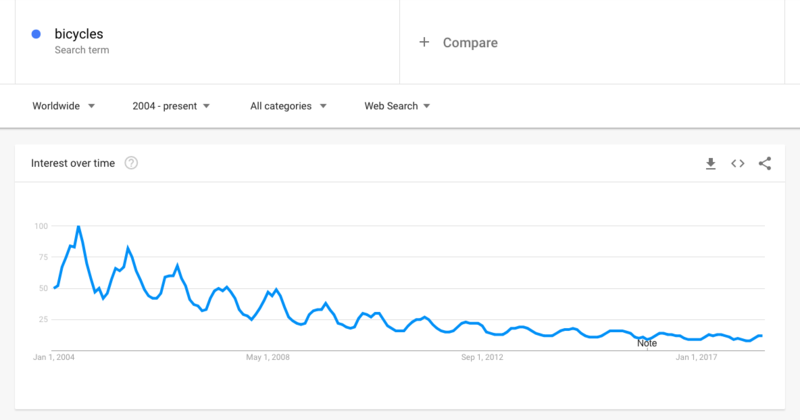 A trend is a product that’s been growing for a while—at least a few years. Matcha tea is a good example of this. A fad is a product that becomes popular for a short while, then dies down relatively quickly. Pokemon Go accessories would be an example of this. A flat market is one where there isn’t much growth or shrinkage. A good example of this would be wooden spoons. A growing market is one that’s been slowly building. Unlike a trend, it might not be seeing dramatic growth, but it’s not remaining flat. Multivitamins are a great example since they’ve grown gradually over the last 15 years or so. A shrinking market is one that’s gradually getting smaller each year. A good example of this is bicycles. You should try to stay within a trending or growing market. A fad will disappear as quickly as it came, and a shrinking market will be hard to grow over the long term. While flat markets can be difficult areas for growth, they tend to be stable over a long period of time. Up next is competition. Who else is out there, what are they doing, and how are they doing it? While it might seem like zero competition is a good thing, it usually means there’s something wrong with the market. If there was an opportunity, someone else would be making money. Very few products create a new market. Even the smartphone—perhaps the most revolutionary product of our time—piggybacked off PDAs and flip phones. Let’s explore the competition and make sure there’s potential for growth. What industry products and brands are growing, and why? Before going into business, it is important to be sure of just how much competition is out there and how you can beat them. Google can also be very helpful in this regard in various ways. First of all, make a Google search for your business name. With the countless businesses existing on the internet, you don’t want to put in effort into your business only to realize that there are dozens of businesses with the exact same name. 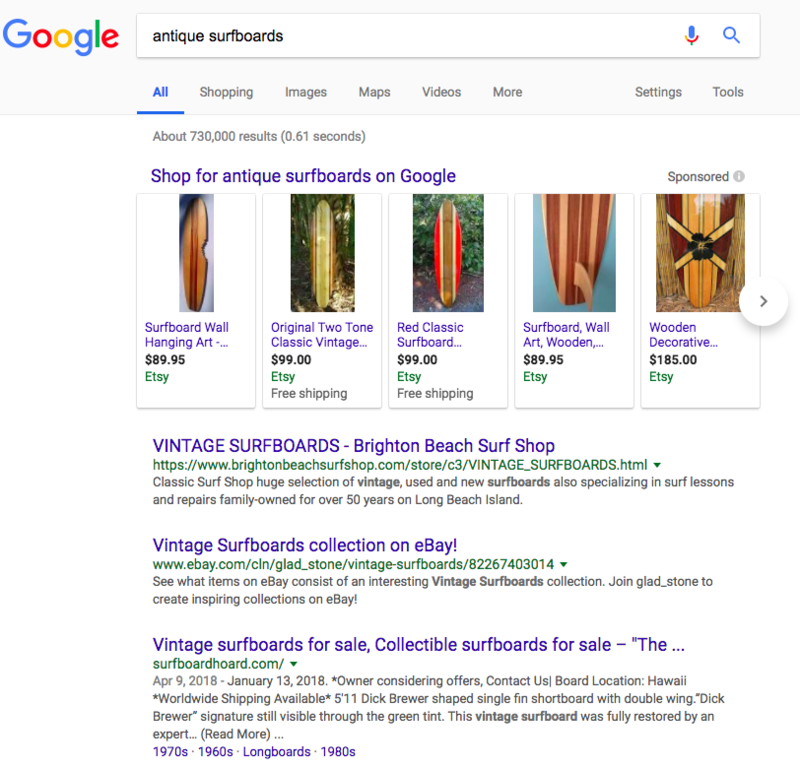 The next thing to do is make a search for the products you want to stock and getting an idea of how many businesses are already stocking them. This lets you know how much competition you are going to have. This can also serve as a source of inspiration. You are able to see what the competition is doing in terms of price presentation and whatnot. You can them come up with an idea of how to present yourself in a way that stands out. Also, conduct a search of your overreaching business idea. This will help you determine just how unique your idea is and how much competition you can expect. Look for one brand, company or group that dominates the first page. Then try to figure out what makes them successful. Who is their market? Remember that not all products have the same market. Daneson premium toothpicks are selling to a very different audience than restaurant bulk toothpick suppliers. How are they positioning themselves? Are they a low-cost option? A family-friendly brand? A premium product? This can dictate what’s working well, or where there’s an opportunity in the market. Also, ask what their value proposition is—what makes them valuable to customers? This could be anything from an innovative product to world-class customer service or convenience. What brands and stores have competitive advantages? In any business, having information about your competition is essential. Running an ecommerce store is no different. 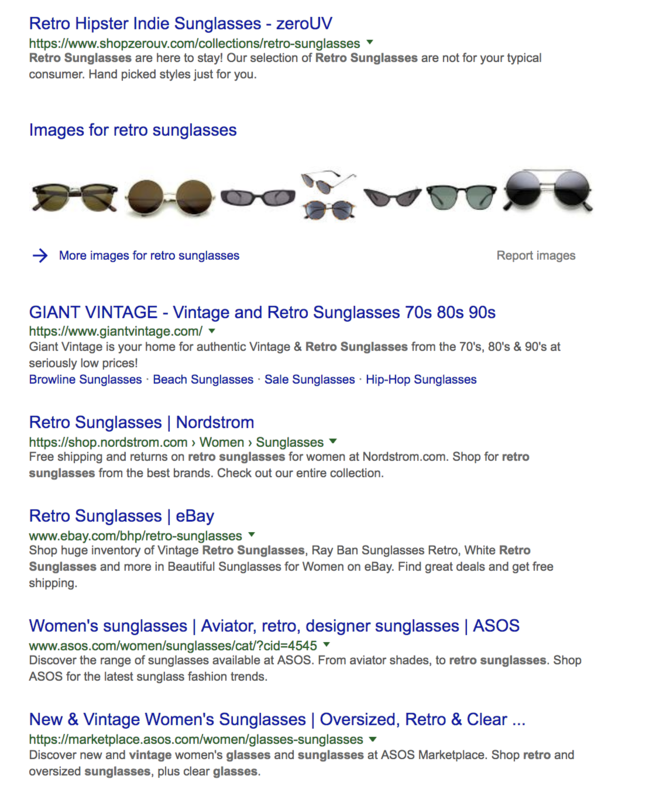 A simple Google search can give you an idea of your competitors and what they are doing to push their products. You also need to determine just how much competition you are going up against. If there are lots of other identical companies, take a step back. Find a new differentiating factor for yourself, a new audience, or a new product. Having too few competitors, on the other hand, is tricky. It could mean that the niche isn’t quite as developed as you expected. It could mean there isn’t profit in your products, or there just isn’t a large enough market. Regardless of whether you have a lot of competition or a little, it is up to you to figure out ways to beat your competitors and help your store stand out. When you first visit your competitor’s website, take note of their general layout including color scheme, and page design. Your design can attract or repel customers, so make sure you do it better than your competitors! You should also consider the kinds of products that your competitor is stocking. Some ecommerce stores stock very peculiar but useful items that other stores might have overlooked. The types of products your competitor stocks should give you an idea of what you can stock in your own store. Don’t copy your competitors, but look for ways to make your store stand out. At the end of the day, your store is either profitable or it isn’t. Here’s what you need to ask yourself to ensure you can stay in business for the long term. Understand how much it will cost you to get started. For a simple store with handmade products, this might just be the cost of basic website hosting. If you already know how to make handmade jewelry, you can buy the supplies you need once the orders start rolling in. But it can be expensive to source your products. For something more complex, it could require thousands of dollars. If you’re planning on setting up a store selling high-end audio equipment and next-day shipping, you’d need to stock tens of thousands of dollars of inventory before launch. Decide what you can afford. Treat your upfront cost like any other investment—only spend an amount you’d be comfortable losing. We’ll talk in another chapter about how to acquire customers. But for now, think about how your customers will come to you. Will it be press? Ads? Free trials or sponsorships? Draft a few rough estimates to decide how much a customer costs, and how much he or she is worth to your business. If it costs $10 to acquire a new customer, this could be profitable for a snack subscription service where customers keep buying—but fatal to a company that only sells $2 nail clippers. How can you increase revenues in the future? As mentioned previously, determining your customer lifetime value will help you know how sustainable your business is. After you have gotten this number, you might find that the projected amount cannot make a significant profit or keep your business afloat. It’s also possible that you simply want to increase your customer lifetime value and thus, profits. The good thing is that there are several ways to increase revenue for your store. When shopping in supermarkets, you might have noticed that small, relatively cheaper items are stocked around the checkout area. These items are often purchased by customers as they wait to check out and thus, increase their price per purchase. Add-ons follow the same principle. When the customer is at the point of paying for their products, they will be more receptive towards adding one or two items to their cart. While creating your ecommerce store, consider adding this option to your checkout settings. Smaller related items should be advertised at this point and should the customer choose to buy, you’ve increased their price per purchase. If a good percentage of your customers respond positively to this offer, you can record significantly higher profits. Second, bundle related products together. 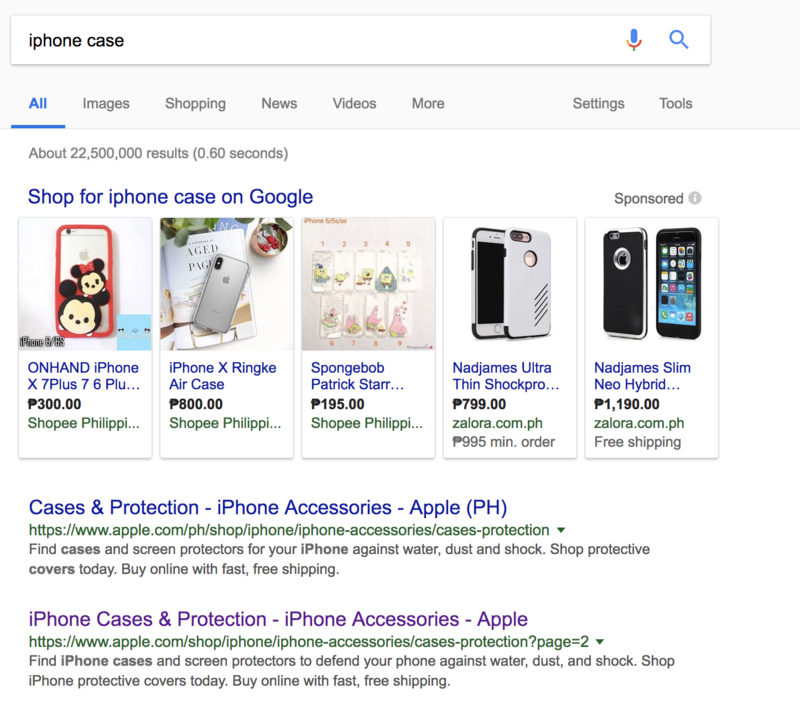 Oftentimes, when a customer is making a purchase from a store, they often have several related items they need but search for one item at a time. What then happens is that they might buy only a few of these items and not the others. This is where bundling comes in. This refers to offering two related items (such as shampoo and conditioner) as a two-for-one deal and selling them to the customer. This practice has multiple benefits. The first is that it ensures two sales rather than one. The customer might have visited your site with the intention of buying only shampoo but with the bundle offer, pays for both shampoo and conditioner. This is one of the best strategies to make your first sale into two or more sales. It also makes sure that the customer is aware of the other products that are available. The customer might have only had shampoo in mind when visiting. But thanks to the bundle offer, now knows you sell conditioner as well. If your inventory of goods is very large, ensuring that they are all purchased within a certain time can be difficult. One way to ensure a certain amount of turnover is to create subscription service for your products. A subscription service refers to a situation where customers sign up to receive certain products from your store periodically. This creates convenience for the customer as they do not have to repeatedly make an order for the goods. This also ensures that your business will have a minimum amount of business and also ensures long-term customers. Subscription services are becoming more and more popular among both businesses and customers for these reasons. A good example of a subscription service is Birchbox. 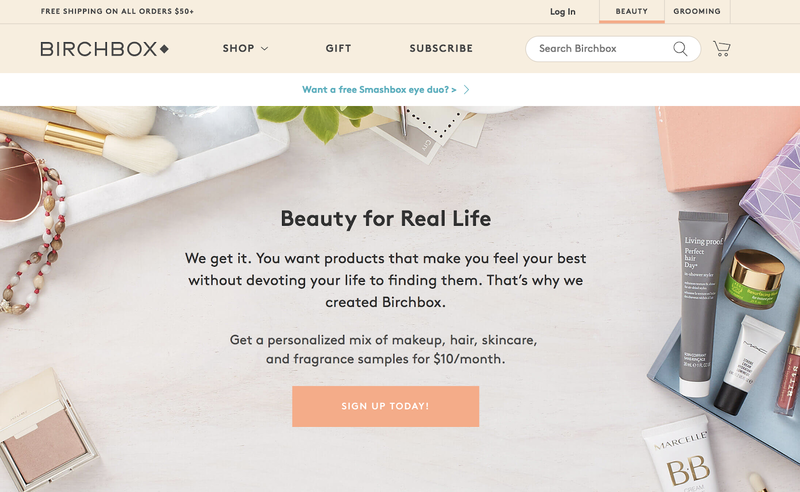 Birchbox is a subscription service which sends personalized beauty products, hair care, and skin care products to their subscribers every month. You can create a similar service based on your own products. Defining your target audience is just as important as picking the product you want to sell and has to be as precise as possible. 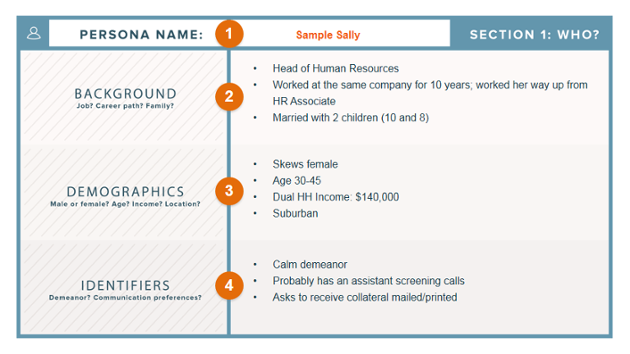 Determine the ages, gender and other demographics of your target audience. After that, determine what these people want and how to provide value to them while maximizing sales potential. Understand the product—what does it offer, what are its weaknesses, and where can you make improvements? Learn about market timing. Are you entering the market at a good time? How long will customers stick it out with you? Next, study your competition. Learn what works and what doesn’t in your industry, and study others’ mistakes. Finally, figure out the finances before you invest a dollar into the business. Ensure you’ll be profitable for years to come.